Heidi is pretty much a badass. She was born in Seattle but spent much of her first six years sailing around the world with her family. She learned immediately to "stay on the boat" (Dunlap family rule #1), and that life was supposed to be an adventure. For her and her family, life has never been ordinary. But there has always been salmon. 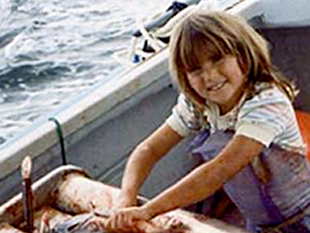 Heidi started working on her Dad's fishing boat when she was five and was a full-share deckhand by 15. And now, after 19 straight salmon seasons, fishing has gotten into her blood, it has become more of who she is, than of what she does. She is an Alaskan fisherman. After graduating from the University of Florida, she still didn't know what she wanted to be when she grew up. She loved to travel and experience other cultures, but that wasn't really a career choice. When her brother Donny died, Heidi and Steve decided to try and run his salmon boat for a season. It went great and they decided to buy their own boat and settle in Western North Carolina. A couple of short seasons later, they decided to start shipping a portion of their catch back to North Carolina and the Wild Salmon Co. was born. Steve did not come to fishing naturally. He was born in the Midwest, far from any ocean and further still from the commercial fishing industry. As a kid, though, he wanted to go to Alaska and work in a cannery. It seemed exotic and romantic. After his freshman year at the University of Montana, he seized the opportunity to head north for the summer and hasn't missed a salmon season since. After college, with no job prospects and few job skills, he began to fish for crab and has now spent 16 winters on the Bering Sea, chasing snow crab, king crab, and codfish. Although you can find him on TV's Deadliest Catch, he finds driving in big city traffic far more dangerous. In his career as a professional deckhand, Stevo has had experience with nearly every type of commercial fishing in some of the harshest conditions imaginable. At home, he and Heidi have bought and renovated a number of houses (another endeavor where he lacks skills). In his free time, though, he gets to indulge his love of travel, music, mountain biking, surfing and skiing. He may, one day soon, retire from winter's spent fishing on the Bering Sea and become a ship's captain...or a writer. Toonces was born, fast and shallow, in 1993 in Bellingham, Washington. She was such an innovative design that the aluminum fabricator who built her refused to put his name on the hull. That has never seemed to bother her or slow her down. Nine days into her first salmon season she was part of a record set. She and her owners caught 38,000 pounds of sockeye in one fell swoop. That is a whole lotta fish all at once. She is a true proven producer. Year after year, she sees more sockeye than nearly every other boat in Bristol Bay and manages them with grace and aplomb. A few years ago, she was brought back down south and got a major renovation. New engines, a new wheelhouse, and refrigeration. Now, she isn't the speedster she once was, but she delivers better fish than ever and her wheelhouse makes fishing so much more comfortable. Fresh out of college, Karen and Bill Dunlap volunteered to teach school in a remote native village in the Yukon River Delta region of western Alaska. The only modes of transportation out there were snowmobiles in the winter and boats in the summer. All groceries and teaching supplies had to be ordered a year in advance, and arrived by barge. To this day, the Yukon Delta remains an extremely isolated region, but in the early 60's it may as well have been like living at the end of the earth. Or living at the center of the earth, as the Natives there saw it. Either way, this is where they fell in love with Alaska. 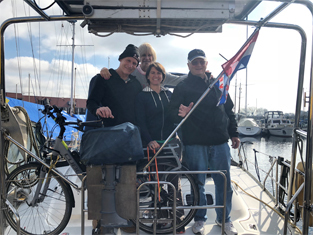 After ten years of teaching and fishing in Alaska, the Dunlaps had saved enough money to embark on a five year journey around the world aboard their sailboat "Alisa." Their son Donny was six and Karen was pregnant with Heidi when their extended family flew to Hawaii to wish them well at the start of their journey. Four months into their around the world odyssey and Bill began dreaming about and dreading over the upcoming Alaskan salmon season. He couldn't stomach missing even one summer. So, after spending five months in the South Pacific they decided to leave the boat in New Zealand so Bill could head up to Alaska. 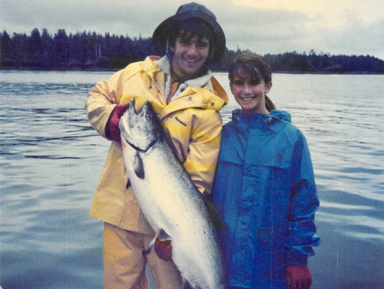 Karen and Donny returned to their cabin in the San Juan Islands and Bill went fishing. For the next six years, the family would sail in the winter and return to the Puget Sound for summers so Bill could keep fishing. Tahiti, Tonga, Australia, South Africa, and the Caribbean were just a few of the places they visited. Heidi was only two months old when they survived a brutal storm near New Zealand that ripped every sail and broke a window. That was when Karen decided that she and the kids would skip the big ocean passages and leave those for Bill, who was more than capable to single-hand the boat, usually sailing naked; allowing the family to fly and meet him, by that time fully clothed, at their next destination. In the early 80's, Bill and Karen started a company called Alaska Smokehouse, selling smoked salmon. Karen ran the day-to-day operations and Bill drove the truck. Soon, even the kids were helping out with packaging in the warehouse and selling retail at the malls during the Holiday rush. After nearly twenty years of success, they sold Alaska Smokehouse and kind of followed Heidi to Florida, settling in Yankeetown, on the Withlacoochee River. They were looking for a change of pace and a better climate. The "Nature Coast" of Florida provided plenty of both, perfect for young retirees. Within a year they bought a stone crab fishing operation and un-retired. Donny moved to Florida and immediately started running the crab boat. 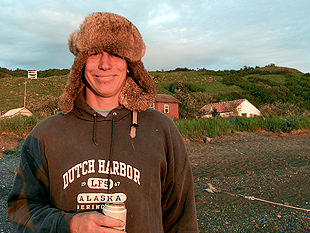 Don began running Bristol Bay gill-netters at fifteen and possessed that unique combination of personality, drive, and skill that makes for a "natural" skipper. Bill went back to driving the truck and Karen sold stone crab claws. Heidi went to college thinking she might escape the world of commercial fishing, but in the summer Bill, Donny, and Heidi all returned to Alaska, each fishing on their own boats. Bill and Karen have un-retired some more and bought another sailboat. Now they spend months at a time cruising the canals of Europe. 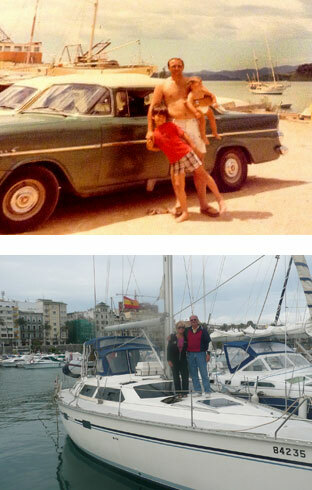 Bill talks of sailing for four months, skiing for four, and fishing for four. Seems ideal. At 71, he still fishes in Alaska every summer and claims he hasn't had a job in 40 years. For the Dunlap family, fishing is more about who they are than what they do. More than that, they love what they do and take great pride in providing such a healthy, delicious, sustainably caught wild protein.